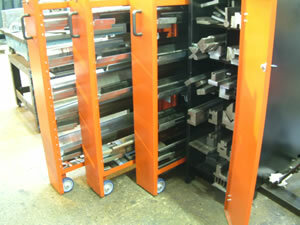 We undertake both fine limit and heavy gauge sheet metal forming as well as sheet rolling. 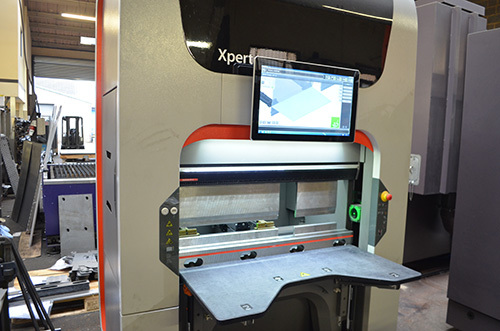 This is a state of the art machine with touch screen controls, direct to the machine 3D modelling support, bending up to 16mm and full CNC with 7 axis. 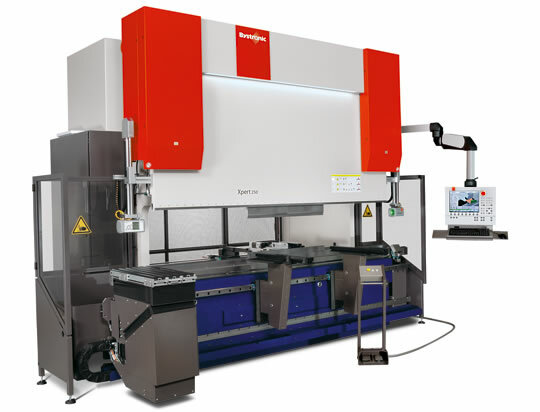 This is currently the fastest CNC brake press on the market and comes with touch screen controls, direct to the machine 3D modelling support, bending up to 10mm and full CNC with 7 axis. The Megoform is perfect for smaller, close tolerance, multi-bend components. We hold a large library of tooling suited for a wide range of folds including heavy gauge and fine limit forming. Tooling includes standard 90 dies as well as specialist dies for Dutch bending, radius forming and joggling. Other specialist tools can be manufactured to customer specification. Sheet rolling can be undertaken upto 1m wide and 2mm thick. Below are examples of the type of work we undertake. This component made from 2mm stainless steel has been punched, folded welded and fitted with inserts and is a good example of the complex precision sheetmetal work we carry out. We can provide sheetmetal panels upto 3mm a wide range of applications such as machinery covers, enclosures, cabinets and boxes. The item to the right is a battery cover for an access platform. We use our punch press to its fullest capacity. These components are 1200mm wide and made from punched and formed 5mm mild steel plate. 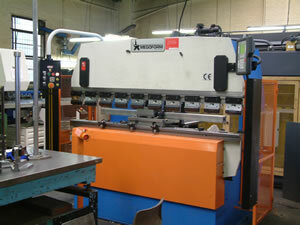 Border Engineering Ltd can make to order bespoke fly & brake press tooling to specification. This light fixture was manufactured using bespoke tooling pole radius as well as the inner flats on the outer clamp shown to the right. This item made of 5mm metal plate has been welded and cleaned prior to powder coating. These items have all been formed to close tolerances from heavy gauge 3mm sheet steel. A close look at the surface of these items will show that they have been stamped with a serial number for easy part identification. 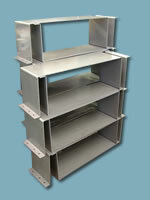 We have the facilities to supply sheetmetal parts to almost any volume required as well as one off's. Our punch press and brake press are all CNC with direct CAD/CAM control.